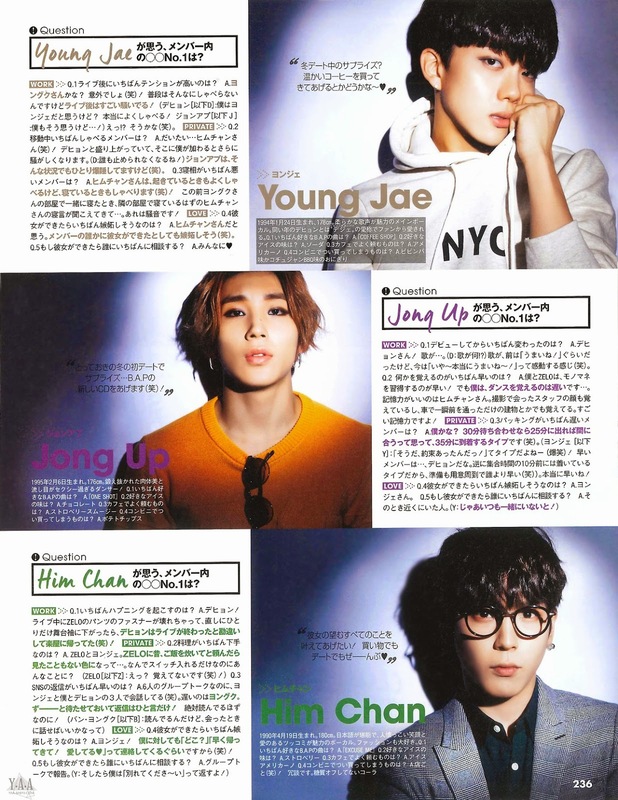 B.A.P in Japanese CanCam magazine Jan. 2015 edition. . HD Wallpaper and background images in the B.A.P club tagged: photo. This B.A.P fan art contains gazeti, karatasi, magazine, tabloid, rag, jarida, tabloidi, limemalizwa, anime, comic kitabu, manga, cartoon, mkono, picha, headshot, and closeup. There might also be ishara, bango, maandishi, ubao, matini, and ubao wa chokaa.